[Leslie] likes his little Samsung N150 Plus netbook. While it packs enough punch for almost everything, it lacks in High Definition video power. That is where a Broadcom Crystal HD mini PCI express card comes in, as these little video decoders are made just for netbooks needing some HD love, but the problem is, his netbook only has one PCI express slot in it, and its occupied by the 802.11N card. Not being bummed out by this, and not wanting to use a USB dongle device he just ripped open his netbook and added a second pci express connector to the pads on the motherboard. Sourcing the header from mouser, the install seems quick n easy, especially since Samsung was nice enough to have the pad’s tinned already, so just a little flux and a steady hand you’re good to go. Unfortunately, there are some hidden gotcha’s as the newly installed slot is not “full featured” that both the Broadcom card and the stock wireless N card require, but he had a wireless G card that ran just fine in the newly added slot, so now its time to rock some full screen HD Hulu. What does he mean by “full featured”? I would have thought any PCI-e card would be compatible, unless it was blacklisted in BIOS. Modding, adding features, voiding warrenties. yep, a hack! I’m not quite sure what he means by “full-featured”; do the cards he’s trying to use require a second PCI lane? USB? Looking at the pads, it looks like the necessary wiring is there for a second PCI-e lane (but perhaps not the underlying components)? USB appears to be wired up as well. So physically, the plumbing for everything should be there. My guess is it was only a x1 slot, and the cards one something more. There’s also a USB channel on (mini?) PCIe, which is often used for things like wireless cards, and sometimes the expansion slots only have the USB routed, which sounds like the case here. Mini PCIe slots have both PCIe signals and USB signals going to them. A lot of these netbooks have slots that only have USB signals going to them and not PCIe, since the addons that come in those slots from the factory only use USB (cellular cards, etc). could i achieve a similar goal but by adding an mxm card to this slot on my acer 5315? Has anyone tried anything similar with the eee1000h? Slot probably only works in USB mode. The PCIe data/clock lanes are there, but I bet a few passives are still missing. CLKREQ# (4th pad from bottom at the right) is only connected to what looks like a unpopulated 0402 location. Did something like this a few years back with my toshiba laptop. Seems most laptop and netbook makers put in nice little extras for a 2nd pcie slot, or a 2nd hdd connector, but never populate the connector on the lower end models, but everything needed is there. landon greer: No, probably not. It looks like the components leading to the slot are unpopulated. Even if the only component missing was the slot, you’d still need to disable your onboard video card. Word to the potential modders, a few folks have tried this with Inspiron 1012s, and the added slot hasn’t worked. Speculation is that a few other components need to be added in addition to the slot itself. That looks like the part that he sourced from his list of parts. Wonder if you could test each passive from the other slot and place each one… sounds like a fun weekend project, if only I had a netbook to hack. LOL. It’s not really a “second slot”. He may have added a second physical connector, but that doesn’t mean he can have two PCIe devices running at the same time. It looks like his hack makes two Mini PCIe connectors share the same set of signals. He’s lucky he didn’t mess up his original connector. Well, there goes his warranty. pcwizard reports there is pci-e headers four of them. and 2 occupied ports for my system. 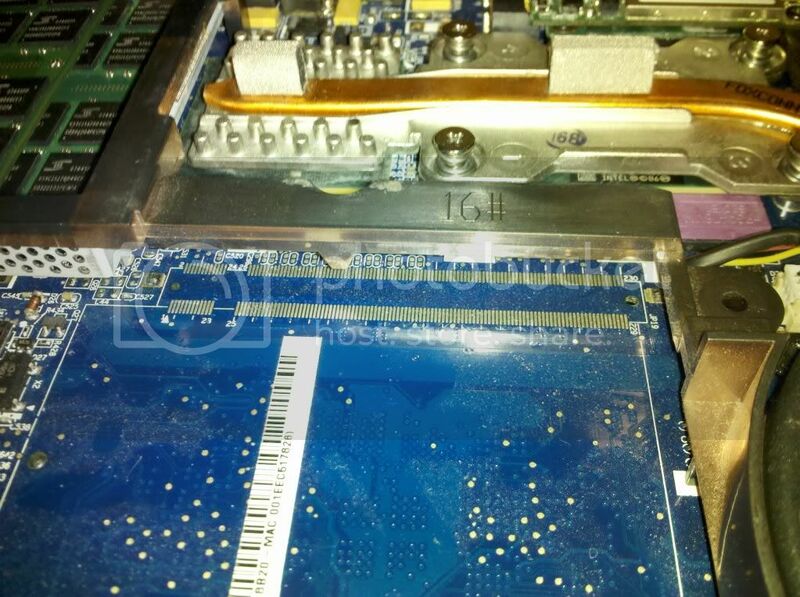 That means there is 1 open port and 1 possibly used by the onchip gfx. on the hav1us model. It may be possible to run gfx cards if you install the drivers first, then un-install the onboard. Be ready to do a complete restore if this fails. If it does install the card properly, you should be able to re-install the onchip/onboard gfx again at that point and run both. Just like the 865-965 chipsets. 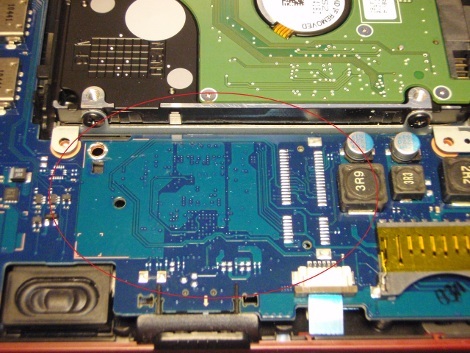 It appears that the Acer Aspire One 722 has PCI Express pad on the motherboard but no slot. Has anyone tried hacking a PCI Express slot for the 722? I have an Acer Aspire One 722 and it comes with the PCI-E slot (thank God). Now all I need to do is buy the Broadcom HD decoder so the streaming video will not play so choppy. I bought my 722 around Christmas 2011, so it’s probably a newer model.